David Price vs. Jeff Samardzija: Who Is MLB’s Best Ace on the Block? Here's guessing that all general managers on the lookout for a stud starting pitcher this July would prefer to trade for David Price and Jeff Samardzija. Actually, that's a pretty good question. So good that we should talk about it. First, let's establish that, yes, the Tampa Bay Rays left-hander and the Chicago Cubs right-hander are legit candidates to be traded ahead of the July 31 non-waiver deadline. Marc Topkin of the Tampa Bay Times wrote in June that it was becoming "increasingly obvious" Price's days in Tampa Bay are numbered, and general manager Andrew Friedman admitted to Tyler Kepner of The New York Times that dealing him is "our only chance for success." As for Samardzija, Gordon Wittenmyer of the Chicago Sun-Times was reporting in mid-June that the Cubs had already engaged in trade talks with multiple teams. If we keep things simple by looking at ERA, it's no contest. Where Price has a 3.50 ERA in 18 starts, Samardzija has a 2.83 ERA in 17 starts. But let's not be that simple. Since being misleading is a hobby of ERAs, we need to consider that maybe Price and Samardzija have misleading ERAs. The message here is clear: Price may not have a better ERA than Samardzija, but he should. Which isn't too surprising. These metrics really like high strikeout-to-walk ratios, and Price's MLB-leading 9.00 K/BB is nearly triple Samardzija's 3.32 K/BB. However, there is a hitch in Price's advantage in the eyes of FIP and xFIP, and that's how it's really only significant in the eyes of xFIP. That's where things get tricky. What xFIP does is try to normalize a pitcher's home run rate by assuming he should have a home run rate befitting of his fly-ball rate. To this end, it tends to favor pitchers who keep the ball out of the air. "HR/FB" is home run-to-fly-ball ratio, and it's the real key here. When xFIP looks at Samardzija, it might be assuming he deserves a higher HR/FB rate and, by extension, a higher ERA. But when it looks at Price, it's definitely assuming he deserves a lower HR/FB rate. And while that's plausible in theory, it's less so in reality. As Brooks Baseball can show, the fly-ball percentages on Price's four-seamer and sinker have both increased greatly from their 2013 levels. That's likely a product of how, according to FanGraphs, his average fastball velocity has declined below 93 miles per hour. And as I noted in a recent article, the sudden lack of velocity differential between Price's heat and his off-speed offerings has hurt the latter, too. After giving up eight homers on his changeup and curveball in 2013, he's already up to eight homers on them in 2014. Point being: Price's home run problem is probably more real than xFIP wants to believe. Because of that, it's better for us to take FIP's word for it that Price and Samardzija are pretty close to each other in terms of effectiveness. Since the edge has to go to somebody, I am going to give it to Price. Even if it is slight, I do trust his advantage in FIP more than Samardzija's advantage in ERA. Then you can add in how Price has been hot as blazes recently, and how it is worth something that his success has come in the American League. It is a close call, though. More specifically: How do Price and Samardzija look for 2015? Both are due for free agency after next season, so eyeing them means having one eye on the rest of 2014 and one eye on 2015. It's to Price's advantage that he'll be younger. Where 2015 will be his age-29 season, it will be Samardzija's age-30 season. Per conventional wisdom, that means Price will have more in his tank. But let's not be so sure about that. Where Price has pitched over 1,100 big league innings, Samardzija has only pitched a little over 660. As such, the latter actually has the fresher arm. Another thing to consider is how Samardzija is cultivating a fall-back option for diminished velocity in his increasing ability to generate ground balls. That hasn't happened by accident, as Brooks Baseball can show Samardzija has made his sinker his primary fastball. Price's sinker is also his primary fastball, but his ground-ball habit is trending down rather than up. That's related to what we talked about earlier concerning his stuff getting easier to elevate. If that is indeed related to his diminished velocity, it's probably not going to get any better with even more diminished velocity. Between his arm having fewer miles on it, his velocity holding relatively strong and his ground-ball habit going up, Samardzija deserves the edge here. Here's where one thing is clearly not like the other. Per Baseball-Reference.com, Samardzija is earning $5.345 million in 2014. Price, meanwhile, is earning a salary of $14 million. Samardzija is going to get more expensive in his next trip through arbitration, but not as expensive as Price is going to get. Whereas Price could command as much as $20 million in arbitration next winter, Samardzija's salary might only double to around $11 or $12 million. He would also be cheaper to sign to a long-term extension. Jon Heyman of CBSSports.com recently reported that Samardzija turned down a roughly $80 million offer, but also indicated that something like Homer Bailey money ($105 million) could get the job done. That certainly won't get it done for Price. Locking him up will likely require at least a $150 million guarantee. What Will It Take to Get Them? One thing Price obviously has on Samardzija that we haven't yet discussed is a better track record. He won the AL Cy Young in 2012, finished second in voting in 2010 and has been an All-Star three times. And you'd better believe the Rays are going to take full advantage of this in trade talks. For example, ESPN.com's Jim Bowden (subscription required) could be right in thinking that the Rays would start trade discussions with the St. Louis Cardinals by asking for Oscar Taveras, who is one of baseball's five best prospects. With other teams, the Rays will surely be asking for several top prospects. Let's not overlook another motivation the Rays have: Their farm system desperately needs help. According to Baseball America, they only entered the year with the No. 20 system in MLB. Teams "aren't as desperate for pitching as in past years." Samardzija's apparent inferiority to Price. Thanks to Samardzija's rejections of the Cubs' advances, there "would appear to be no hope" of extending him. The Cubs aren't going to give Samardzija away for spare parts, but Heyman could be right. At the least, here's guessing that the Cubs won't be insisting on prospects as good as Taveras in talks. If all a team cares about is acquiring the best pitcher it can possibly get for a possible championship run, that team is probably better off targeting Price. He's had his issues in 2014, but not enough of them to overrule what he's accomplished. But if a team is looking to make the best trade for a pitcher it can make, Samardzija's the guy. A team won't have to gut its farm system to get him, nor will it have to write supersized checks to pay him. Add in how it's not impossible to argue that Samardzija is on Price's level in terms of talent now and that he should age better, and you're looking at a considerably lower-risk venture. Either way, here's hoping they both actually get traded. As fun as it is to talk about how things will work out, it's more fun to watch things actually work out. Note: Stats courtesy of Baseball-Reference.com unless otherwise noted/linked. There's what Jake Arrieta used to be, and then there's what Jake Arrieta is. It's an important distinction to make. What Arrieta used to be is a major disappointment. What he is now, however, is an ace-level pitcher who should be a rock in the Chicago Cubs' rotation for years to come. Wednesday will mark the one-year anniversary of the Cubs acquiring Arrieta—along with Pedro Strop—from the Baltimore Orioles for veteran right-hander Scott Feldman. For the Cubs, the trade meant swapping a successful reclamation project for a longer-term, higher-ceiling reclamation project. Arrieta had racked up a 5.46 ERA in parts of three seasons with the Orioles, but he had been a top-100 prospect as recently as 2010 and was still only 27. "We think Arrieta, getting him out of the American League East and getting him into our environment, we're hopeful he can turn the corner," said Cubs general manager Jed Hoyer, via ESPN.com. The now-28-year-old right-hander showed progress with the Cubs in 2013, posting a respectable 3.66 ERA in nine starts. If nothing else, it was something to build off. And man oh man has he built off it in 2014. After flirting with a perfect game against the Cincinnati Reds on June 24, Arrieta flirted with a no-hitter in a 2-0 Cubs win over the Boston Red Sox Monday night. And though he settled for 7.2 innings of one-hit, shutout ball, he still wrapped up the most impressive June of any pitcher this side of Clayton Kershaw. After his superb June, Arrieta's ERA for the season now stands at 1.81. Whereas the old Arrieta was mediocre-to-bad at striking guys out, limiting walks and home runs and keeping the ball on the ground, the new Arrieta is now quite good at these things. And it's to his credit that he's made this happen. Because of how big a problem walks had been for him, what might stand out the most is Arrieta's improved walk rate. That's what happens when a guy goes from a 61.2 strike rate to a 63.8 strike rate. And it's how this has happened that's really interesting. Rather than simply hitting the strike zone, Arrieta now seems more interested in living on the edges of the zone. BaseballSavant.com can tell us that he's gotten pretty good at that, and that site and FanGraphs can tell us how he's also enjoyed two corresponding benefits: more called strikes and more swings outside the zone. How is Arrieta doing it, exactly? Well, these things are usually mechanical in nature. Arrieta's improvement, apparently, is no different. “Probably 90 percent of pitching for me as a starter is really getting in tune with your body and being able to repeat a delivery a hundred times in a row,” Arrieta recently told ESPN Chicago's Sahadev Sharma. “And really, that’s the goal. If you can repeat a delivery consistently, you’re gonna see the benefits of that in your command." What you see above is a much tighter cluster than in the 2012-2013 graphic. Arrieta's release-point consistency isn't on par with Cliff Lee's just yet, but it's definitely better. There's where his improved command is coming from. And while that also helps explain how he's gotten harder to hit, another equally important explanation there has to do with Arrieta's new pitch selection. The one thing Arrieta always packed before 2014 was good heat. And he still does, as FanGraphs has him 17th among starters (minimum 60 innings) with an average fastball of 93.5 miles per hour. But Arrieta no longer relies so heavily on his hard stuff. Whereas he never threw fewer than 60 percent fastballs between 2010 and 2013, he's now throwing only 51.3 percent fastballs. According to Brooks Baseball, part of that entails Arrieta throwing four-seamers less frequently than ever. Per the pitch-type benchmarks Harry Pavlidis offered at Hardball Times, four-seamers have easily the lowest ground-ball rate and easily the highest fly-ball rate of all pitches. As such, we're looking at a solid explanation for Arrieta's increased ground-ball habit and decreased home run habit. But the big change in Arrieta's pitch selection concerns the use of his slider, which has skyrocketed to a career-high 25.9 percent. Arrieta has a pretty good curveball and changeup, too, but his slider is especially nasty. That's largely because of how, per the Baseball Prospectus PITCHf/x leaderboards, his is the fastest slider among starters this year at an average of 89.9 miles per hour. It's a slider with cutter speed. That's probably why you often hear his slider referred to as a cutter. But the man himself called it a slider in talking to Sharma, and he also explained why he's suddenly using it so much. Pretty good stuff, this. And for the record, the 30 strikeouts Arrieta has picked up on his slider are out of 74 total. That would be one-fifth of his pitches picking up about 40 percent of his strikeouts. If you want the ingredients for Arrieta's breakout in a nutshell, here they are: He's gone from having Ubaldo Jimenez-ish command to having Greg Maddux-ish command, and what was already a very good arsenal of stuff now revolves around one unhittable offering in particular. That's not how all breakouts happen, but it's definitely worked for Arrieta. And since he's still just 28 years old, he should be able to ride his breakout through several more prime years. And that's a happy thought for the Cubs. It wasn't that long ago that it didn't look like the Cubs were going to have an ace-type starting pitcher in their long-term plans. The best hope on that front involved signing Jeff Samardzija to an extension, but he's made it clear enough he's not interested. Rather than watch him leave as a free agent after 2015, the Cubs will more than likely trade Samardzija ahead of the July 31 non-waiver trade deadline. Fellow right-hander Jason Hammel—who's on a one-year deal anyway—is also likely to be dealt, leaving the Cubs with Arrieta, Travis Wood, Edwin Jackson and spare parts for their starting rotation going forward. Thanks to Arrieta's breakout, that doesn't sound like nearly as dire a situation as it might have been. He's turned into a terrific pitcher, and he's under Chicago's control through 2017. If the Cubs aren't aggressive in extending Arrieta even further, they could probably do so later. Jackson's $52 million contract will finish in 2016, and the arrival of Kris Bryant, Javier Baez and others in the next few years should help convince Arrieta that Chicago's North Side is a good place to be. The Cubs acquired Arrieta hoping that he would turn into a part of the team's future. What he's done instead is turn into a big part of the team's future. I'm guessing they'll take it. As you might have noticed, the 2014 Major League Baseball season has been underway for a while now. If you haven't, well, it began in March. Better get with the times, man. But the 2014 MLB trade season? That's just now kicking into high gear. With Tuesday being the first of July, the countdown to the July 31 non-waiver trade deadline is on. And these being modern times, you should plan on wading through trade rumors for the next few weeks. We might as well get started here. With quite a few rumors already out there, let's take stock of the juicy ones with a good, old-fashioned, Internet-tastic game of "Fact or Fiction." Note: Stats courtesy of Baseball-Reference.com unless otherwise noted/linked. Also, a hat tip is owed to MLBTradeRumors.com for putting all the rumors in one place. Many moons from now, we're probably not going to be singing songs of Bryce Harper's return from the disabled list on June 30, 2014. In this moment, however, Harper's return is at least worth talking about. While not quite the stuff of legend, his first game back with the Washington Nationals did succeed in reminding everyone that, yeah, their lineup is a whole lot better when he's in it. After missing two months with a thumb sprain suffered on a slide into third base on April 25, Harper returned to Washington's lineup Monday night batting sixth and playing left field against the Colorado Rockies at Nationals Park. He went 1-for-3 with a walk, a run and an RBI in a 7-3 Nationals victory. Again, not quite the stuff of legend, but what good stuff there is lies in the details. Apart from Harper's renowned mane making its first appearance in a while, the key attraction of this play is obviously the RBI itself—specifically, how Harper got it by producing with a runner in scoring position. Such production has been hard to come by for the Nationals in 2014, as they began the week ranked 25th in MLB with a .669 OPS with runners in scoring position. Harper has already helped raise that number and should continue to do so. How do we know that? Well, partially because the .824 career OPS Harper has in RISP situations is pretty good and partially because of how that OPS isn't far off from his .829 career OPS in all situations. No matter which way you slice it, the dude can hit. But another thing that stands out about that play is Harper aggressively going for second base after Drew Stubbs bobbled the ball. That's a vintage Harper hustle play, and it was a welcome sight indeed. Not so much because of how it relates to the message Nats manager Matt Williams was trying to send when he benched Harper for a lack of hustle back in April, mind you. More important was how he showed he's not afraid to hustle on the basepaths after getting hurt doing precisely that back in April. And Harper hustling on the basepaths is yet another way he can help the Nationals score runs. According to Baseball Prospectus, the Nationals already rank 12th in baserunning runs. If he can stay in the lineup, Harper will take that already solid dynamic of their offense and make it even better. So that's what Harper did in the fourth inning. The next big impact he made on Monday's game happened in the sixth inning, and he did it by...well, simply by being Bryce Harper. There was one out and runners on second and third when Harper came to the plate to face Rockies right-hander Rob Scahill. But rather than have Scahill face Harper, Rockies skipper Walt Weiss called for four wide ones to load the bases for Ian Desmond. Since he entered the game with just a .697 OPS, Desmond is not having such a great year. But with the third-highest slugging percentage among Nats regulars, he's still dangerous. Had Harper not been there, here's guessing the Rockies probably wouldn't have walked a man to load the bases for him. Pretty much. And not surprisingly, the move backfired when Desmond scorched a double down the left field line that scored everyone to give the Nationals a 5-2 lead. To be sure, Harper's return on Monday night wasn't a complete success. It would have been better if he'd shown off some of his trademark power, and there was one not-so-awesome moment where he grounded into a 6-3 double play in the second inning. However, Harper showed with four home runs in five rehab games—including three in one game—that his thumb injury didn't rob him of his power completely. It will show up eventually. And even despite the double play, there's no denying he helped Washington's offense more than he hurt it. Assuming Harper stays healthy, that's going to be a recurring theme down the stretch. That alone is reason enough to believe Washington's offense is going to be better than it's been, which is only good enough to be in the middle of the pack in the National League in runs scored (eighth) and OPS (ninth). Then you can throw in how Monday night was the first time since Opening Day that Williams was able to start all eight starters he had healthy at the beginning of the season. After injuries quickly scattered them all, Harper's return was the final missing puzzle piece being put in place. The best team in baseball? Eh, that's probably a stretch. Those Oakland A's are pretty good, and so are those Milwaukee Brewers. But we know the Nationals already had an elite bullpen. We also know that with Stephen Strasburg, Jordan Zimmermann, Gio Gonzalez and Doug Fister in the mix, they already had an elite starting rotation. And now that Harper is back with everyone else, they should have a much-improved offense. Maybe they won't be the best team from here on out. But given what they're packing now, they should at least be a heck of a lot better. Take a moment to imagine a ballplayer who's a pest at the plate, a magnet in center field and an unstoppable force on the basepaths. The guy you just imagined is Cincinnati Reds center fielder Billy Hamilton. Or the player he's becoming, anyway. Coming into 2014, we knew Hamilton was fast. Maybe even the fastest baseball player ever. Knowing that, there was little question he could make the grade on the basepaths and in the field. Speed goes far in those two arenas. But then there was the thing we didn't know: whether the switch-hitting 23-year-old would even be able to hit his weight (160 pounds) in the big leagues. Hamilton hit .368 in 2013, but that was over just 22 plate appearances and after he slashed just .256/.308/.343 at Triple-A. And according to Baseball America, ESPN's Keith Law (subscription required) and Jason Parks of Baseball Prospectus (subscription required), Hamilton's bat really was that much of a question mark. Hamilton is the fastest player I've ever seen on a baseball field, but his baseball skills can still play raw, especially at the plate. ... Hamilton's bat is likely a better fit for down-the-lineup, and despite the elite run, the 23-year-old might fail to live up to the lofty ceiling created by his lofty speed. Thus were there doubts when the Reds tabbed Hamilton to replace Shin-Soo Choo both in the leadoff spot and in center field in his rookie season. If his bat was as advertised, he'd be looking at a career as a pinch runner and/or defensive replacement rather than as an everyday player. And early on, Hamilton's bat did look as advertised. He wore the golden sombrero against St. Louis Cardinals ace Adam Wainwright on Opening Day, and he was just 2-for-22 after seven games. Flash forward to the present day, however, and things look a little different. The roots of Hamilton's particularly impressive June surge aren't hard to find. His decreased strikeout rate has meant more balls in play, and he entered Saturday batting .354 on balls in play this month. Hamilton's power surge, meanwhile, can be partially traced to a monthly fly-ball rate near 40 percent. When fly balls aren't caught, they're liable to turn into extra-base hits. And that goes double for Hamilton. Pun absolutely intended. Beyond the stats lies another explanation for Hamilton's surge: There's a comfort factor that wasn't there before. "I'm very comfortable now," he recently told MLB.com's Phil Rogers. "Early in the season, the first few games, I felt like I wasn't a big leaguer. I was just here to be here. Now I feel like I'm supposed to be here." Paul Daugherty of The Cincinnati Enquirer tried to dig even deeper, asking Hamilton what's changed since Opening Day. Hamilton reiterated that he's more comfortable, but Daugherty added that the speedster "alluded to 'adjustments.'" Something like that can be code-talk for "Go look at the video." And when I did, I noticed something. Though Hamilton's a switch-hitter, he's batted lefty in the majority of his 2014 plate appearances (216 of 295). The majority of his production has come there too, as he's a .300 hitter batting lefty. And this is where an adjustment seems to have taken place. That's a really wide-open stance, and it didn't exactly work. In striking out four times, Hamilton had all sorts of issues with his timing. As he'd probably be the first to agree, it was ugly. Hamilton's stance last fall was much more closed. While he only got so many plate appearances, that he hit .368 using that stance is a pretty good indication that it didn't need to be changed. What happened between the end of 2013 and Opening Day? I'm not sure. But what I do know is that Hamilton has closed his stance as 2014 has moved along. Hamilton's not all the way back to the stance he had last September. But he has gotten a lot closer to that stance and has certainly benefited from it. This is not to suggest Hamilton doesn't need to evolve even further as a hitter, mind you. Beyond his June production likely being a bit too good to be true, he needs to work on his hitting from the right side and his overall plate discipline. He's only a .233 hitter against lefties, and he should be walking a lot more often than 4.4 percent of the time. What Hamilton has made clear, though, is that his hit tool isn't all that doomed after all. There's clearly some talent there, and he's shown he can make adjustments to tap into it. We shouldn't take that for granted, as not all young hitters are able to adjust when dealt a reality check. So scratch that once-possible future as a pinch runner/defensive replacement. The question now is not whether Hamilton can be an everyday player, but how good of an everyday player he can be. Short answer: maybe even better than the one he already is. Let's venture to use wins above replacement as a measuring stick. If we do that, we find FanGraphs has Hamilton's WAR at 2.9, which puts him 10th among outfielders and fifth among center fielders. Given how Hamilton's hitting is right around league average, maybe this makes you skeptical. But you have to remember this guy's main source of value isn't his bat. It's his legs. And those have lived up to the hype. By virtue of his 34 stolen bases and other good baserunning plays, FanGraphs has Hamilton's baserunning value at 4.7 runs above average. That's good for fourth in MLB. This would be the statistical way of saying something we expected to be saying: Yup, Hamilton's baserunning is a huge asset. Hamilton is first among center fielders in ultimate zone rating and tied for first in defensive runs saved. He certainly passes the eye test. The arm Hamilton used to need at shortstop has proved to be a weapon in center field, and goodness knows his speed allows him to cover quite a bit of ground. If we take Hamilton's first-half WAR of 2.9 and project it out over the second half, we get a WAR of just under 6.0. By FanGraphs' typical guidelines, that's a WAR of a star-level player. And remember, this is assuming that Hamilton's hitting only stays right around league average. Even if he never gets better than he's been, he can still be a star. As mind-boggling as that may be, well, that's Hamilton's speed for you. It's a source of value as powerful as any in the game today. The scary thought is how good Hamilton can be with an above-average bat. Since that's what he's been packing in June, we actually have a solid idea. With above-average offense added to his baserunning and defense, FanGraphs has Hamilton's June WAR at 1.6. Over a full season, a good-hitting, good-running, good-fielding Hamilton could thus be worth easily more than 6.0 WAR. Yup. His ceiling is not that of a mere star-level player. It's that of a superstar-level player. At the least, what Hamilton has done with his offensive surge is show that there's more to him than just his speed. In showing he can hit, he's shown he belongs and that he can more than earn his keep. And then there's the even higher potential that Hamilton has shown this month. If that ends up being no mere tease, he's a player we're going to be talking about for a long time. We're used to thinking about good-hitting catchers as being a rarity. And if I had to take a whack at guessing the popular opinion, it's probably that they're even rarer in today's game. The 2014 season definitely feels like a bleak one for offensive catchers. Brian McCann is struggling mightily in his first year with the New York Yankees. Houston Astros All-Star Jason Castro is also struggling. Colorado Rockies power source Wilin Rosario is yet another struggler. Goodness, if Joe Mauer and Carlos Santana were still catching, things would feel even worse. The actual reality, however, is nowhere near as bad as the apparent reality. We're going to consider a stat called OPS+. It's a version of OPS that's adjusted for parks and leagues and set on a scale where 100 is "average," making it useful for pinpointing below-average and above-average performers. Through play on Wednesday, a search on Baseball-Reference.com returned nine catchers who own an OPS+ over 100 (i.e. above average) and are qualified for the batting title. If this total holds, it will be the largest collection of above-average qualified catchers since 1977. True story. Even if remove Baltimore Orioles catcher Matt Wieters—who's out for the season after undergoing Tommy John surgery—from the equation, you still have 17 above-average offensive catchers. That's enough for more than half the league, which is pretty good. And it's not all usual suspects. A few guys—the big notables being Russell Martin, Buster Posey, Miguel Montero, Carlos Ruiz and Yadier Molina—fit that description, but then there are the other guys. Cincinnati Reds former top prospect Devin Mesoraco is having a huge breakout season. Derek Norris has taken his game to a new level for the Oakland A's. After a promising rookie campaign in 2013, Evan Gattis is helping the Atlanta Braves forget about Brian McCann. In his first full big league season, Mike Zunino is giving the Seattle Mariners good production. Without guys like these, 2014 wouldn't look like such a great year for offensive catchers. To that end, well, it would be par for the course, right? Once again, you'd be surprised. Since we're only halfway through 2014, maybe you read all that thinking we're making too much of a small-sample-size fluke. What it really is, however, is a continuation of a trend. Last March, FanGraphs' Mark Smith noted that catchers had quietly been catching up (pun kinda-sorta intended) with the rest of the league offensively. Dave Cameron, also of FanGraphs, took things from there and noted this April that the trend was holding steady. While the league's catchers aren't hitting as well now as they were when Cameron checked in, FanGraphs has their collective wRC+—which does basically the same thing OPS+ does except with a base stat (wOBA) that's slightly more accurate than OPS—at 95. We can turn back to OPS+ for additional support. Minus Wieters, this year's collection of 17 above-average offensive catchers with at least 100 plate appearances makes it five years in a row there have been at least 17 of them. There were only two such seasons between 1998 and 2009. It's happening somewhat quietly, but good-hitting catchers becoming plentiful is a real thing. It could have died this year with Mauer and Santana moving off catcher and guys like McCann, Castro and Rosario falling off the radar, but MLB clearly has enough good-hitting catchers to sustain such a blow. And that doesn't seem to be an accident. In discussing the reasons why catcher offense has been on the rise, Cameron noted a coinciding trend: the decline of the league's caught-stealing percentage. Not much has changed there, as Baseball-Reference.com tells us this year's 26.4 CS percent is on track to be the third-lowest ever recorded. There are a number of factors at play there. But as Cameron noted, one of them could be that teams de-prioritized finding catchers who can throw. It would have made sense to do so in the not-so-distant past. After all, why bother finding catchers who can throw out base stealers when nobody's stealing bases? It's easy to draw a line from the decline in stolen bases from 1999 to 2005 to the rise in power hitting that, for some players, involved taking various substances. In the offensive environment of the time, the stolen base was obsolete. Thus was there incentive to de-prioritize looking for catchers who could provide value with their defense in favor of catchers who could provide value with their bats. And given that the stolen base didn't make a dramatic comeback after 2005, this still would have been the case as recently as a couple years ago. That's around when some of today's catchers were beginning their pro careers. And if you go back and look at old scouting reports, you will find ones that saw more offensive potential than defensive potential. Take Milwaukee Brewers should-be All-Star Jonathan Lucroy. Back in 2007, Baseball America (subscription required) applauded him for being "an offensive-minded catcher" with an "average at best" arm and receiving skills that were—and this'll make close followers of Lucroy chuckle—merely "decent." Then there's the 2007 scouting report on Norris, which noted his "above-average power potential" first and foremost before noting he "needs more experience" behind the plate. Even Posey wasn't a slam dunk as a catcher after the San Francisco Giants drafted him fifth overall in 2008. Baseball America loved his "quick bat" and "gap power" but also noted Posey was new to catching and would "need time to develop behind the plate." You can do this with some of the guys who have come along more recently too. In 2011, Gattis was praised for his bat while also being knocked for having "a lot of work to do behind the plate." In 2012, quietly productive Cleveland Indians catcher Yan Gomes was praised for his bat speed while being knocked for an "average arm" and just "solid" defensive potential. Also in 2012, Zunino was a powerful catcher with an average-ish arm and a passed-ball problem. Not all the scouting reports read like this, mind you. Wieters was touted as the real deal in every department. So was Mesoraco. Elsewhere, underrated Kansas City Royals catcher Salvador Perez was definitely known as a defense-first catcher as a prospect. But it's guys like these who come off as the exception to the general rule. Offensive catchers have been a better idea than ever recently, and catchers with better offensive skill sets than defensive skill sets are the players teams have targeted and developed. And while it feels like it should be more of a deal-breaker now with stolen bases kinda-sorta back en vogue, I wouldn't expect the current status quo to change any time soon. Reason No. 1: It's not like good defense behind the plate can't come with enough time. Reason No. 2: With offense continuing to decline on a yearly basis, offensive catchers have gone from being a good idea to more of a necessity. Reason No. 3: The notion of what qualifies as "good" catcher defense could be changing anyway. That last point is one Cameron brought up, arguing that it's better for teams to have catchers who can frame strikes than catchers who can throw out runners. This makes sense, as a team is going to get more outs in a season with extra strikes than it is with thrown-out baserunners. It so happens that a few of the guys on our radar are pretty good pitch framers. According to BaseballSavant.com, in the top 15 in called strikes outside the strike zone this season are Lucroy, Montero, Gomes, Zunino, Perez, Ruiz, Molina, Gattis and Posey. We've come quite a ways to say it, but here it is: The catcher position is undergoing a transformation. Due to various circumstances, it's more about offense than it used to be. And due to various circumstances, it should be staying that way for a while. Consider that one former rarity that's now plentiful. Here's hoping baseball brings back pure contact hitters next. The St. Louis Cardinals have reasons to worry about a number of their pitchers these days, which is all sorts of bad news. But there's good news, too: In his last two trips to the hill, Adam Wainwright has made it clear there's nothing to worry about on his end. On Thursday night at Dodger Stadium, Wainwright made his second start since being sidelined for 10 days with right elbow soreness earlier this month. He ultimately found himself on the short end of a 1-0 Los Angeles Dodgers victory, but that had more to do with Josh Beckett's seven scoreless innings than Wainwright's own pitching. The veteran right-hander fired eight innings of one-run ball, giving up five hits and a walk while striking out seven. It looked for a time like Wainwright was going to do a lot better than that, as it took a leadoff single by Miguel Rojas in the sixth inning to break up his run at a no-hitter. That kind of efficient dominance has been the norm for Wainwright for a while now, and this latest effort makes 18 starts of at least eight innings since 2013. That's more than anybody else in baseball. Wainwright has helped his ERA in the process. It was 2.15 when his elbow started barking. It's now 2.01, second-best behind only Johnny Cueto among qualified National League pitchers. There's the gospel of the results for you. After a brief bump in the road, Adam Wainwright is Adam Wainwright again. And no, it's not just the results that say so. If there's one gripe you can raise about Wainwright's last two starts, it's that he hasn't quite been the strike-throwing machine that he was before. Only 66 percent of his pitches have been strikes, whereas 67 percent of his pitches were going for strikes before. Dude's slacking, man. I guess that makes it a good thing he's had some good stuff. It's not a clean sweep, but Wainwright has generally been throwing harder since his return from injury than he was before. That's a pretty good sign that his elbow is not only feeling good, but that he's comfortable enough to push it. Even more encouraging is that Wainwright hasn't been shying away from his trademark curveball either. In his first 14 starts, he threw his curveball 25.3 percent of the time. In his first start back, his hook accounted for 26 of his 104 pitches. Against the Dodgers, it accounted for 27 of his 100 pitches. That's 53 of 204, or 26.0 percent. Rather than go down a tick, Wainwright's curveball usage has gone up a tick. And Uncle Charles is still as snappy as he's ever been, thank you very much. Maybe even snappier. This would be how Wainwright has gotten his Wainwright-like results his last two times out. He's been able to throw strikes, he's had good life on his fastball, and his money-making curve is in top form. All of this is worthy of a bigger sigh of relief than you might think. The elbow injury Wainwright came down with didn't sideline him for long, but it was concerning all the same. This is a guy who already had Tommy John surgery in 2011, after all. And though his injury was described as being similar to "tennis elbow," he didn't make it out to be any kind of minor inconvenience. He was in real pain. "The game in Tampa Bay [on June 10], even though I had decent results, that didn't feel good at all," Wainwright told MLB.com's Alex M. Smith. "It hurt. We got all that calmed down." Given the pain Wainwright was dealing with and the impressive fashion in which he's bounced back from it, you do get the sense that the Cardinals have dodged a bullet. And it's a good thing they have. The Cardinals began the season with a strong starting rotation, but sophomore right-hander Michael Wacha and oft-injured left-hander Jaime Garcia were placed on the disabled list a few days back. Right-hander Joe Kelly was already there waiting for them, and fellow right-hander Shelby Miller only lasted a couple innings in his most recent start before his back acted up on him. With so many injuries all of a sudden, these are tough times for St. Louis' starting rotation. If the Cardinals didn't have Wainwright healthy and firing on all cylinders, their pursuit of the NL Central-leading Milwaukee Brewers would be very much in danger of hitting a serious snag. But the Cardinals do have a healthy Wainwright, and he is firing on all cylinders. That means that every fifth day is going to be a good day. And as long as that's the case, they'll be sticking around. The 2014 Major League Baseball season is (more or less) at the halfway point. Having already taken a look at some super-interesting statistical happenings, we shall now pursue another midseason activity: handing out awards. We'll obviously be including the big ones—Rookies of the Year, Cy Youngs, MVPs, etc.—as a midseason awards show just wouldn't be complete without them. But in the interests of due diligence, science and good, old-fashioned fun for the whole family, we have some other awards to hand out too. Better strap yourselves in. We have a lot of awards to get to. And remember, there's no arguing the selections unless you feel like it. Tim Lincecum could dazzle with the best of 'em between 2008 and 2011. But then the baseball gods took his powers away in 2012, dooming most of his trips to the mound to be a struggle. But then there are those other times. Those times when, even if it's often just for a moment, Lincecum gets his powers back. Like what happened Wednesday afternoon. Lincecum did it again. Specifically, the San Francisco Giants right-hander did it again to the San Diego Padres, no-hitting them at AT&T Park almost a year after he no-hit them at Petco Park last July 13. It was a less effort affair this time. After needing a whopping 148 pitches to finish off the Padres last year, Lincecum needed only 113 pitches to finish them this time. He walked just one, struck out six and recorded 12 of his other 21 outs on ground balls. Now, as cool as this is, it also highlights the less awesome aspect of Lincecum's no-hitter. The Padres weren't a very good offensive team last year, but they're a historically awful offensive team this year. There's a stat called wRC+ that measures total offensive value in runs as compared to league average (represented by an even 100). According to FanGraphs, the Padres have a team wRC+ of 75, making their offense 25 points worse than league average. That's not just the worst in baseball this year. That puts them among the 30 worst offensive teams in the AL/NL era (since 1901). Hence, historically awful. There's your warning not to get too carried away in thinking about where Lincecum goes from here. Even with his second no-hitter in the bag, he still only has a 4.42 ERA this season. And it's not like he'd been heating up, either, as he came into the game with a 6.85 ERA in June. Point being: It's not a good idea to expect Lincecum's no-hitter to usher in a full-time return of his old powers. That's expecting too much. If Lincecum's no-hitter proved anything, it's the same thing his first no-hitter proved: that he can still dip into his old powers on special occasions. For all the things from Lincecum's Cy Young days that he doesn't have anymore, the one thing he still does have is a nasty collection of secondary pitches. There are still few pitchers out there with a slider/curveball/changeup mix as good as his. We can tell that by noting how, according to BaseballSavant.com, Lincecum is in the top 20 in swinging strikes on off-speed pitches this season. Further, Brooks Baseball says eight of Lincecum's 12 whiffs Wednesday afternoon came on his secondaries. Five of those whiffs finished off strikeouts. He's probably right, but that's another point. Even when Lincecum's stuff isn't at its best, it's still really good. And one thing Lincecum is doing with his off-speed stuff is trusting it more. Per FanGraphs, his fastball usage fell to a career-low 50.0 percent last year and is down even lower at 47.3 percent this year. And just as only 61 of Lincecum's 148 pitches in his no-hitter last year were heaters, only 39 of his 113 pitches in this year's no-no were fastballs. It's hard to maintain consistency when you're throwing so few fastballs, but that does help explain Lincecum's occasional flashes of dominance. Any team that's having a tough time hitting his secondaries is going to have a tough time hitting him, period. And heaven help that team if Lincecum also has good fastball command that day. Good fastball command is something Lincecum doesn't always have these days. Brooks Baseball has the strike percentages of both his four-seamer and sinker since the start of last season under 30 percent. That's...uh, not good. But sometimes Lincecum's fastball command is there. That was the case in last year's no-hitter, as he threw over 60 percent of his heaters for strikes. It was once again the case this afternoon, as he got strikes on about 60 percent of his heaters. He's right, you know. What made Lincecum's fastball so effective when he was winning Cy Young awards was its velocity more so than his command of it. Ever since all that zip evaporated, consistently substituting good command in for good velocity has been an ongoing struggle. When Lincecum's able to do it, though, good luck. Not long from now, I suspect that the general reality of today's Tim Lincecum will come back to the surface. He's bound to have a start that forces us all to remember that, oh yeah, it was the Padres he faced, and that his talent level is not what it used to be. Then we'll sigh and reminisce about what he used to be. But he still has it in him, folks. We were just reminded of that, and it won't be the last reminder we get. So, maybe not everybody has realized this yet, but the 2014 Major League Baseball season is already pretty much at the halfway point. Yup. We've come that far. But rather than lament how we only have so much baseball left before a long, dark, cold winter, let's be more productive by taking stock of what's happened so far in 2014. This being baseball, the best lessons and coolest tidbits are found in numbers. So that's where our focus is going to be, specifically on a dozen storylines involving super-interesting league and player trends. Note: Stats courtesy of Baseball-Reference.com and FanGraphs unless otherwise noted/linked and are current through play on Monday, June 23. The Tampa Bay Rays are likely going to trade David Price in July. And when they do, they're likely going to get some really good stuff in return. But here's a warning for all interested parties: Be careful on this one, man. Price is still a very good pitcher, but neither his present nor his future is as bright as his past. A few days after Marc Topkin of the Tampa Bay Times wrote how it's becoming "increasingly obvious" that a Price trade is going to happen, ESPN's Buster Olney is saying rival officials believe the Rays are ready to deal "right now." Olney cited additional sources who said the Rays "aren't actually close" to trading Price, mind you. Nonetheless, he is right in thinking that, thanks to the Rays' 31-47 record and Price's looming free agency after 2015, "the climate is right" for the 2012 American League Cy Young winner to be dealt. Price has earned his remarkable K/BB ratio. According to FanGraphs, he's throwing more first-pitch strikes, more pitches in the strike zone and getting more whiffs than he ever has as a starter. And it's largely because of his K/BB ratio that Price fares a lot better in metrics that value strikeouts and walks when determining what a pitcher's ERA should be. Those include FIP, xFIP and SIERA, which agree that Price deserves better than a 3.81 ERA. Ordinarily, I recommend taking these metrics' word for it when it comes to assessing a given pitcher's effectiveness. By focusing largely on strikeouts and walks, they focus on the two most important things a pitcher can control better than ERA does. But Price is a special case. For all the stats that say he's perhaps never been harder to hit, a deeper dive says the exact opposite is the real truth. We can begin with the obvious: Price's heat is not what it used to be. After a two-mile-per-hour drop in average fastball velocity in 2013, according to FanGraphs, Price's average velocity is down again to a career-low 92.9 miles per hour in 2014. And while Olney noted that Price's velocity has gotten better, there's a catch to that. He did go from an average of 92.1 in March/April to 93.6 in May, but he is back down to 93.1 in June. Outside of May, he has indeed been working with career-worst fastball velocity in 2014. It's to Price's credit that he's still been able to get whiffs with his hard stuff. In fact, there's a chart at Brooks Baseball that shows how all his pitches are experiencing increased whiff rates. Focus on the black and gray lines. Those represent Price's four-seamer and sinker, otherwise known as the hard pitches he's using most often. Both have clearly been easier than usual to elevate in 2014. This helps explain not only Price's diminished ground-ball habit, but his home run problem as well. Price has already matched his 2012 and 2013 totals with 16 home runs allowed in 2014, and Brooks Baseball tells us seven homers of those homers have come on four-seamers and sinkers. This after giving up only six homers on those two pitches in all of 2013. That Price's diminished velocity has something to do with this is a safe enough assumption. With his hard stuff generally coming across slower than before, hitters stand a better chance of squaring it up. But that's not the only apparent problem that Price's diminished velocity is causing. It also appears to be impacting his offspeed stuff. The whole point of offspeed pitches is to fool hitters. One way to do that is getting them off-balance. One thing that can do that job is good velocity differential between a pitcher's fast stuff and slow stuff. The velocity differential between Price's heat and his changeup has never been smaller. The velocity differential between his heat and his curveball, meanwhile, is only slightly bigger than last year's low. Further compounding matters is that Price isn't putting these pitches out of reach. After accounting for just 7.5 percent of his pitches between 2009 and 2012, BaseballSavant.com says changeups and curves inside the strike zone have accounted for 12.0 percent of Price's pitches in 2013 and 2014. And so far this year, opponents are hitting Price's changeups and curves in the strike zone at a .383 clip with a .728 slugging percentage and seven home runs. He's thus being burned not just by diminished stuff, but by predictability as well. All told, there's a pretty good picture of why Price's 3.81 ERA is actually an accurate measure of his effectiveness. His diminished velocity is a problem with both his hard stuff (obviously) and his slow stuff, and his over-willingness to throw his slow stuff in the strike zone isn't helping. Now, granted, a pitcher who can maintain an ERA at 3.81 or thereabouts is hardly a lost cause. There are a lot of teams that could stand to add a guy like that, especially one who eats innings seemingly by the dozen. Whoever trades for Price will be acquiring an asset for a playoff push. No question about it. Any team that makes a deal for Price expecting to get a true ace in return, however, is likely to be disappointed. Convincing Price to throw more offspeed pitches outside the zone can be done, but his old velocity is likely only going to be there in spurts. There's no fixing that, and living with it will mean having to live with more hard-hit balls than Price gave up in his glory days. And that's just this year. Remember, whoever trades for Price will have him in 2015, too. And at the rate he's going, the diminished talents he has now at age 28 are going to be even more diminished at age 29. Buyers should be interested, but buyers should also beware. Old traditions die hard in baseball, but it's to Major League Baseball's credit that it's been willing to kill off traditions that have outstayed their welcomes. Like when MLB urged umpires to automatically eject head-hunting pitchers in 2001, or, more recently, when it placed a limited ban on home plate collisions. Both were baseball customs with deep roots, but MLB knew they had to go. Now it should be smokeless tobacco's turn. Ballplayers have been dipping for as long as there have been ballplayers, but it's time for the league to kick the habit. If anything, it's past time. By at least a week. It was last week, of course, that we lost Hall of Famer and San Diego Padres legend Tony Gwynn far too soon. He passed away on June 16 at the age of 54 following a battle with salivary gland cancer. The mark Gwynn made as a hitter—encapsulated by a .338 career average and eight batting titles—is the crown jewel of his legacy. He also made a profound mark as a person, as you could search far and wide for a negative testimony about Gwynn as a teammate, friend or coach and still come up empty. But Gwynn's legacy shouldn't be complete just yet. His death has put baseball's smokeless tobacco problem in the spotlight, and it should be what ends the problem once and for all. As ESPN's Tom Friend chronicled in 2011, Gwynn had a bad dipping habit his whole career. He experienced the first of several growths in his mouth in 1991 and began battling cancer in 2010. “I haven’t discussed that with the doctors yet, but I’m thinking it’s related to dipping,” Gwynn told The San Diego Union-Tribune's Bill Center. It couldn't be proven at the time that Gwynn was right. It still can't, as Matt McCarthy noted in a piece for Deadspin that dipping "hasn't actually been linked to the type of cancer that killed Tony Gwynn." It is, nevertheless, certainly plausible that Gwynn's habit is what ultimately killed him. Cancer.org will vouch that smokeless tobacco has been linked to numerous types of cancer, including cancer of the mouth, tongue, cheek, gums and throat. And while the knowledge of the cancer risk that comes with dipping has grown, it's not anything new. You can look back to 1986 and find the press wagging its finger at ballplayers for having such a self-destructive habit. Baseball eventually responded to mounting pressure by banning all tobacco in the minor leagues in 1993. And then the league was given its first big cautionary tale. That was Bill Tuttle. 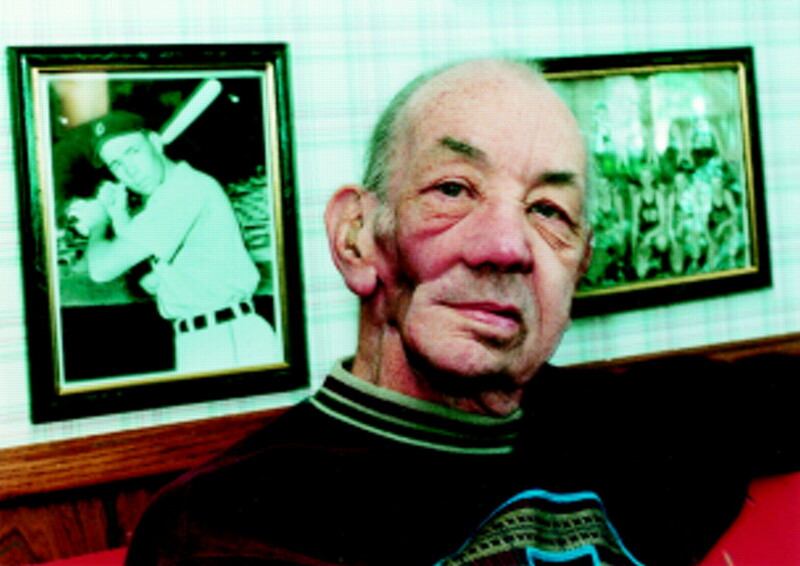 After a nearly 40-year dipping habit that included an 11-year run in the majors in the 1950s and 1960s, Tuttle required surgeries that, per The New York Times's Claire Smith, involved "removing his cancer-ridden right cheek, right jaw, teeth, taste buds as well as parts of his throat and neck." Joined by his wife, Gloria, and former major leaguer Joe Garagiola, the (nearly faceless) Tuttle went on a tour of major league clubhouses to warn players of the dangers of dipping in 1996. "Million-dollar players would come up with tears in their eyes and cans of tobacco in their hands and they would say, 'I want you to throw this away for me,' " Gloria Tuttle told The New York Times's Richard Goldstein in 1998. That was also the year Tuttle died. Maybe that could have been baseball's cue to act. But with smokeless tobacco still ingrained in baseball's culture 16 years later, Tuttle's death obviously wasn't powerful enough to get the job done. Tony Gwynn's death, however, could be. In fact, MLB superstar Stephen Strasburg—who played for Gwynn at San Diego State University—has publicly announced, per MLB.com's Bill Ladson, he is quitting the awful habit. It's a start, and hopefully the beginning of a positive trend. There's no need to tell MLB that smokeless tobacco needs to go. As noted by Seth Livingstone of USA Today, baseball was seeking a ban on dipping when the next collective bargaining agreement was being discussed in 2011. There was pressure coming from Washington, D.C., and Commissioner Bud Selig was on board. "No. 1, watching guys spit in the dugouts is not exactly a great thing to watch," Selig said. "But, more importantly, if you knew the health consequences, they're huge." Selig obviously was (and still is) right on the second point. He's right on the first point, too. For all the beautiful sights baseball can offer, a player spitting out a stream of sickly brown goop isn't one of them. But it's not just an ugly sight. It's been noted—for example, by Maury Brown in a piece for Forbes—that the league is worried about kids picking up dipping from watching baseball. It may sound like an eyeroll-worthy "Won't somebody please think of the children!" concern, but it is nonetheless a valid concern. "I was one of those kids that picked it up based on seeing ballplayers do it," Strasburg told The Washington Post in 2011. "It's not a good thing, and I don't want to represent myself like that." Note Strasburg's choice of words. Not "a kid," but "one of those kids." And yet no ban happened in 2011. The league pushed, but the MLB Players Association pushed back. Per The Associated Press, via ESPN.com, the final compromise only called for players not to keep chewing tobacco in their pockets, and also for them not to use it in pre- and postgame interviews or at team functions. Rather than pushed out of the game, dipping was merely pushed out of sight. Then-union head Michael Weiner, who also passed away too young last November, said in 2011 the players felt that banning dipping "was not appropriate under the circumstances." When John Shea of the San Francisco Chronicle checked in with current union chief Tony Clark, he found that the union is still content to focus on "player education" in regards to smokeless tobacco rather than a ban. No wonder. There are players who, like Strasburg, aren't proud of their dipping habits. But there's also an attitude of defiance among others. Come on, that's a joke...I know there's a lot of young and impressionable minds out there, and we have a responsibility, but still. Whatever we do is not going to keep smokeless tobacco from being sold. Does it cause bodily harm? Yes. But we are grown men. They have to make their own decision. No doubt it was this stance that propped up the union's push against the tobacco ban in 2011. With the next CBA due up for 2016, the best hope of getting a tobacco ban is this stance softening. With Gwynn's passing, that could happen. Arizona Diamondbacks reliever and former San Diego State Aztec Addison Reed had an extreme reaction to his old coach's passing, as Steve Gilbert of MLB.com reported Reed threw out all the chew that he had and quit on the spot. That makes it at least one person in uniform who's been hit hard enough by Gwynn's death to stop dipping. Elsewhere, others have been hit hard enough to at least look in the mirror. All this means there's hope. The defiant attitude of players toward chewing tobacco got in the way of the ban MLB wanted in 2011. In the wake of Gwynn's death, that attitude may be softening. Smokeless tobacco has been a baseball staple for so long that it's hard to picture the game without it. But given its sheer unsightliness and the health hazard it presents to current and future players, the time has come for baseball to accept a life without it as soon as possible. Nobody knows for sure if it's what Gwynn would want, but it's certainly how baseball can do right by him. Baltimore Orioles slugger Chris Davis entered Monday's action in need of a big hit in the worst way but in a lousy position to get one. It's not so easy to hit from the bench, you know. Fortunately for Davis, baseball has that one rule that allows managers to use pinch hitters. The Orioles entered the bottom of the ninth inning of Monday's contest trailing the Chicago White Sox by a score of 4-3. With two on and one out, Buck Showalter called on Davis to pinch hit for Delmon Young against White Sox closer Ronald Belisario. After working the count to 3-2, Davis caught hold of a pitch and sent it out to right field for a three-run, walk-off homer that gave the Orioles a 6-4 win and set the crowd at Oriole Park at Camden Yards on a roar. The win was Baltimore's third in a row to run its record to 40-35, and it allowed the Orioles to remain 1.5 games behind the Toronto Blue Jays in the AL East. In all, not a bad day at the office for a guy who began the game on the bench. Showalter started Steve Pearce at first base instead, which made sense given that Pearce has been hot while Davis, well, hasn't. Pearce entered Monday's game on a string of five straight two-hit games and with a 1.164 OPS in June. As for Davis—aka the guy who launched 53 homers with a 1.004 OPS in 2013—he entered with a .565 OPS over his last 25 games, a cold stretch that dropped his 2014 OPS from .892 down to .749. Put simply: Davis had been sucking. The hope now, obviously, is that Davis' big walk-off homer will be a turning point. That's what the Orioles need it to be, as the "Crush" Davis they've come to know would certainly be useful in keeping pace in the tightly packed AL East. Bit it's also true for Davis himself, as he's a guy who needs to keep alive the notion that he's deserving of a big payday with free agency looming after 2015. As for whether Davis' big homer will be a turning point, the best we can do is say "Maybe" in an optimistic tone. One reason for optimism is that you never know when a big hit is going to give a guy a confidence boost. And going off what Davis had to say about benching, it sure sounds like he needed one of those. A slightly more tangible reason for optimism is that Davis just might have fixed something with his approach at the plate when he sent Belisario's pitch sailing through the Baltimore night. This has to do with the kind of pitch it was. Per the naked eye and Brooks Baseball, it was a slider that Davis hit out. Sliders are from the breaking ball genus, and that's one that Davis has been having a ton of trouble with in 2014. Regarding what Davis was against breaking balls before 2013, Grantland's Jonah Keri put it well when he called Davis a "real-life Pedro Cerrano." He couldn't hit breaking balls. Until he all of a sudden could, of course. But after mashing them in 2013, Davis has once again had a very tough time with them in 2014. And the problem was especially bad in his 25-game cold stretch, as he hit .042 against breakers with a .167 slugging percentage. Keri's article had a couple of GIFs in it that showed how Davis' struggles against breaking pitches could be chalked up to poor pitch recognition and mechanics. Most noticeable of all was how he couldn't keep his hips closed. His front hip would fly open and a wild swing would ensue. Yeah, that's what we want to see on breaking balls. No wonder Davis hit it out. The pitch that Davis hit out was clocked at 87 miles per hour. According to BaseballSavant.com, Davis owns a .288 average against pitches clocked at 87 or higher this season. That's compared to an .098 average on pitches clocked at 86 and slower. So rather than "complete victory," a better term for his dinger would be "progress." Still, progress will do for, um, progress. And if progress begets more progress, Davis could soon become one of the American League's most dangerous hitters once again and make a lot of people happy in doing so. The Orioles would be happy because the return of "Crush" Davis is a potential game-changer in their postseason chase. For example, you can look to how, according to FanGraphs, they wasted a 3.67 ERA over the last 30 days by pairing it with middle-of-the-road offense and think, "Man, what if?" Perhaps we'll get a chance to find out over the next 30 days, and beyond. Then there's Davis himself. There are no guarantees that the Orioles will rush to sign him to an extension if he finishes 2014 on a strong note, but you never know. The Orioles could finally be free of Nick Markakis' $66 million contract, and Nelson Cruz departing would render them in need to lock up a power bat for the future. To that end, who would be better than the guy who hit 53 homers and came alive to save their bacon in 2014? For at least a moment on Monday night, Chris Davis was "Crush" Davis again. If he's able to stay "Crush" Davis, there's much to be gained. Note: Stats courtesy of Baseball-Reference.com, unless otherwise noted/linked.